Meet Jess Lam, Co-Founder of the popularly growing fashion site, StyleSays. I got the chance to sit down with this dapper dude over coffee and chat a bit about fashion, social media and the business behind a start-up. Jess not only has a good head on his shoulders, but he also lends verisimilitude to my testament that there are some seriously stylish guys in SF. Read on for snippets of our convo, and be sure to check out StyleSays for yourself, you'll be hooked. While you hail from a midwest town, your transition to the San Francisco lifestyle seems to have been a very easy move for you. Tell me about the likenesses and differences you may see from Oklahoma to California, and would you say that your personal style has changed much between the two? JL: The transition was pretty easy for me because I started imagining myself moving to California while still a teenager. I imagined lots of beaches and palm trees. I was right for the most part since I spent my first few years in California at Stanford. To my surprise there were some big similarities between the two states. The people may have different political views on the surface but both are kind and honest. At least from my personal experiences. My style has definitely changed, especially in the last year. I dressed somewhat conservatively in high school, trying to stay within the norm. I was pretty nerdy. While living in SF I've been exploring different styles and finding what I like best. I still have a long way to go. EÀLM: How would you describe your personal style and your tastes for things, material or not? JL: I prefer a minimalist style in both fashion and design. I really respect the thought that goes into creating simple, beautiful designs with a purpose. Of course it's always fun to throw in some loud colors but I'll save those for the weekend. EÀLM: What first fueled you and your development team into creating StyleSays? What does it mean to you? JL: First and foremost I think it's gone this far because we really enjoy working together. I'm surrounded by some of the smartest and most talented people I've ever met. Originally we came together to make e-commerce much more enjoyable for shoppers, ourselves included. We noticed that so much of online shopping is about discovery. I loved sending my friends new clothing and music that I come across. Then if they liked what I sent sometimes I buy it. We realized that friends, peers, bloggers or almost anyone can influence your taste, so we wanted to integrate that into the online shopping experience. So when you come to StyleSays you'll most likely discover clothing you've never seen, stores you didn't know existed and people who can show you how to tie it all together in an outfit. To me StyleSays is about increasing shoppers' confidence through discovery and validation from a fashion focused community. Making people feel better about the way they look is something that I can be proud to wake up every morning and do. EÀLM: Amen to that! There are so many great features I see you and the team implementing almost daily! And your traffic is rapidly increasing. Tell me a bit about the idea of featured stylists. JL: Some of my biggest learnings while creating StyleSays have come from fashion blogs and their authors. Everything from community development to putting together ridiculous Jeffrey Campbell wedges with a new Givenchy bag. For readers they teach them how to adopt new trends, create lasting wardrobes, and discover their own style. All of this combined instills self confidence in people just like we want to with StyleSays. About a month ago we realized these fashion muses should be as much a part of StyleSays as the clothing. What good are those new leopard heels if you don't know how to wear them? Look to a Featured Stylist for the answer. EÀLM: So true. I certainly love seeing the ways multiple fashion muses can pull things together, and discovering new products and vendors is always a fun experience, like finding a long-lost friend with matching Charlotte Olympia heels you both bought on the same day. 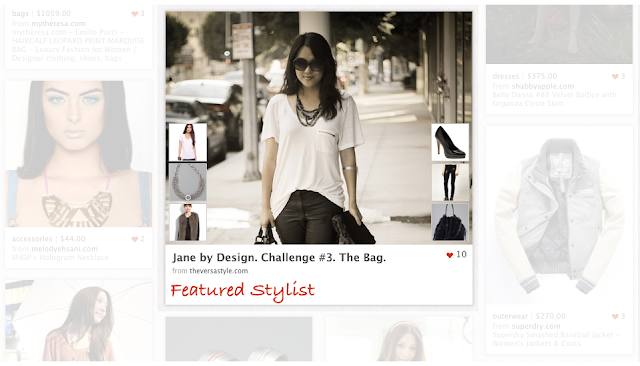 Where do you look for new ideas and trends to pull from for featured products on StyleSays? JL: Ah I may have given this away a bit with my previous answer. I keep a strong pulse on fashion blogs that post clothing and trends the StyleSays community will like. I'm starting to trust my own judgement more and more but then again my knowledge is based off what I've learned from these bloggers. One great thing about being in San Francisco is that I also get to witness a lot of unique styles in person. I feel like a lot of our featured items also come from what inspires me on the street. Thanks Jess! Looking forward to more exciting happenings at StyleSays. Check in with SS now: We're giving immediate access to 15 of Alison's readers. Use the promo code stylesays.freshfashion.245 at signup.